Go to a chain supermarket, and chances are you'll see one type of garlic—maybe two or three if you're lucky. 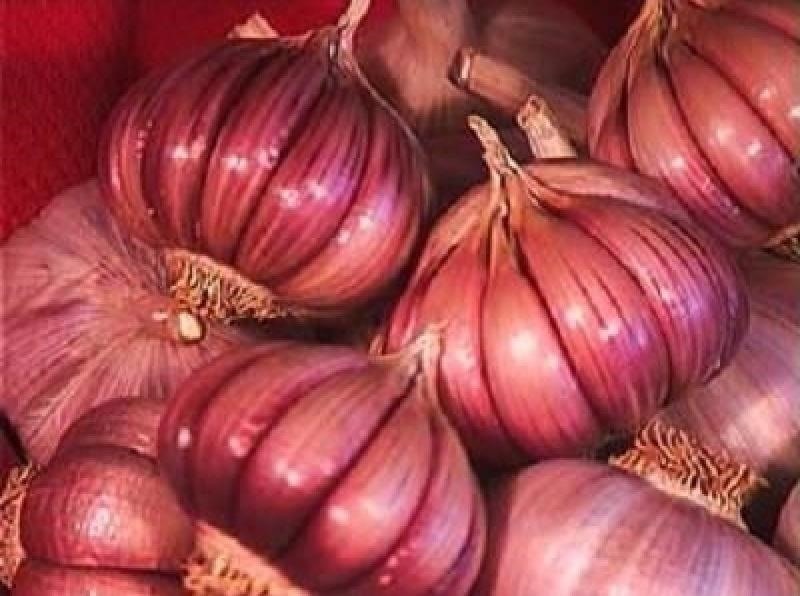 However, there's a mouthwatering slew of Allium sativum out there, far beyond those papery white bulbs most of us encounter at the nearest Stop 'n' Shop. While most recipes don't say specifically what kind of garlic to use, once you know the basic varieties, you can start to play around and experiment with the flavors and nuances each different type brings to the table. Read on to explore the wonderful world of garlic. Hardneck garlic (Allium sativum ophioscorodon) tend to have more flavor than their soft-necked cousins. They're characterized by hard woody central stalks and a long flower stalk (scape) that loops and curls, usually twice. They tend to have four to twelve cloves in each bulb. Hardneck garlic can sometimes verging on being spicy or hot. Others say they're spicier, more complex, and altogether more "garlicky." Porcelain, Rocambole, and Purple Stripe varieties are all part of the hardneck family. Hardneck garlic tends to grow best in areas with very cold winters, since they require a longer time of vernalization (i.e., they need a long, cold winter to be dormant so they can flower in the spring). If you're at a farmer's market and spot bulbs of garlic that have a rosy/violet cast to the flesh of the cloves and thinner skins, you're probably looking at hardneck garlic. Buy them right away. You want them in your life and your tummy. I use these for roasts with gamier meats, like duck or venison, as well as vinaigrettes that have other hearty ingredients, like mustard or apple cider vinegar. If you're making garlic-infused olive oil or vinegar, use a hardneck garlic if one is available for more flavor. Softneck garlic (Allium sativum sativum) is believed to have evolved from hardneck garlic and comprises most of the garlic you see in major supermarkets. 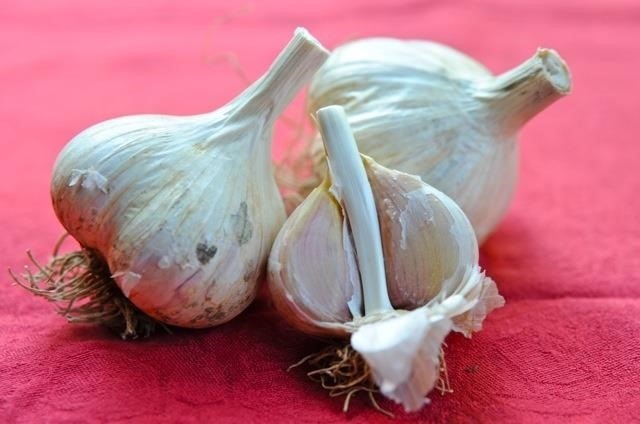 Because it lacks the flowering scape of hardneck garlic, it produces many more cloves—sometimes as few as eight, and sometimes getting as high as thirty or more. If you want to eat or use garlic raw or lightly cooked, you'll probably head for a softneck variety. If you're making a simple salad dressing where garlic is a featured flavor, opt for softneck garlic. It has a more grassy, plant-like taste and doesn't have the bite of its hardneck siblings. Most processed garlic foods, like garlic powder and seasoning, come from softneck garlic. Artichoke (the strain sold in supermarkets) and Silverskin (the kind you'll most often see braided) are two varieties of softneck garlic. Originally thought to be a variety of softneck garlic, Creole garlic turns out to be in a class by itself—literally. 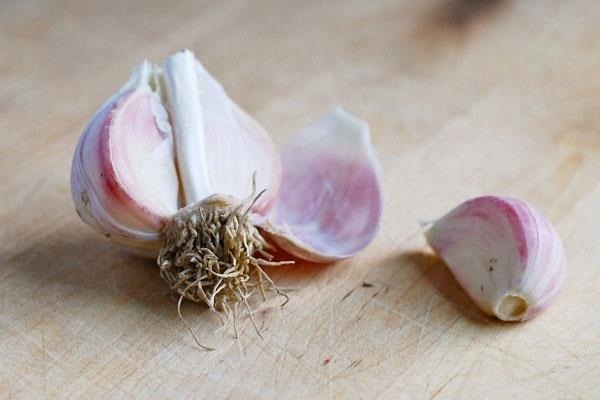 These garlic bulbs tend to have up to 12 cloves and range from a beautiful light pink to an almost purple glow. Unlike the rosy varieties of hardneck garlics, the entire bulb itself tends to be pink/red/purple. Creole garlics are pretty rare and grow better in warmer climates. Creole varietals tend to have a wine reference in their name. Some types are Cuban Purple, Ajo Rojo, Burgundy, Creole Red, and Rose du Lautrec. This type of garlic tends to have some heat to its flavor and the pungency varies depending on the variety you buy. Definitely do the sniff test before you purchase—it'll tell you how much bite the garlic contains. I've only spotted this garlic a handful of times at various farmer's markets and I've always regretted not buying more. 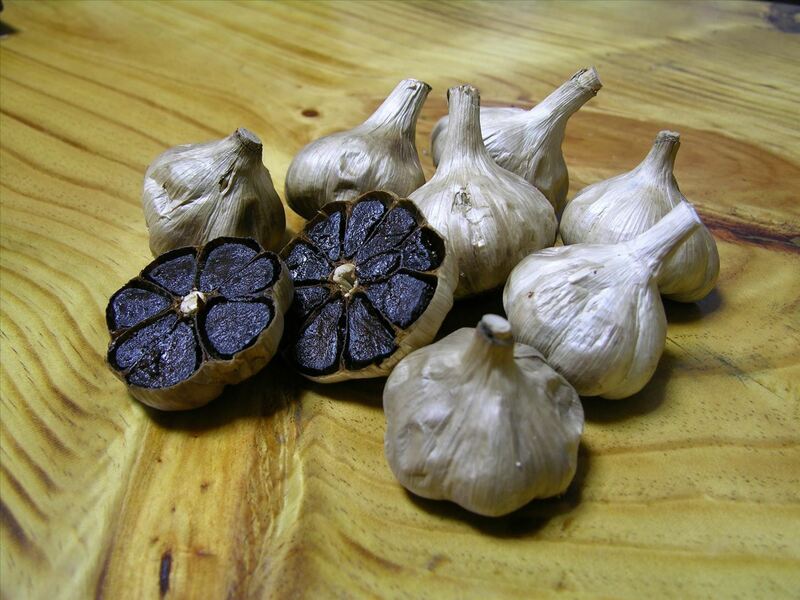 Like many a superhero, the origins of black garlic are uncertain and shrouded in mystery. Scott Kim claims to have invented it. Others say it dates back to Ancient Egypt. All I know is there's lots of black garlic in Korean grocery stores (the Japanese use it, too) and that its taste is almost uncategorizable. It's recognizably garlic at first bite, but it has rich, plummy undertones as well as a hint of vinegar. It's a little chewy, like good dried fruit, and it works well when cooking for people who hate regular garlic. Chef Evan Hanczor of Brooklyn's Parish Hall says, "It has notes of dark caramel, chocolate, a little bitterness, a little sweetness, and umami, plus that je ne sais quoi." A combination of fermentation, dehydration, and low heat is used to get the sugars in the garlic to caramelize over a long period of time and turn black. Black garlic, according to some chefs, adds that rich, meaty umami flavor to dishes that might otherwise lack it. I've served it by itself as an appetizer or used it as a garnish on salads and meats. It also works well in sauces and vinaigrettes, but it's too expensive to use in anything large-scale, like a marinade. 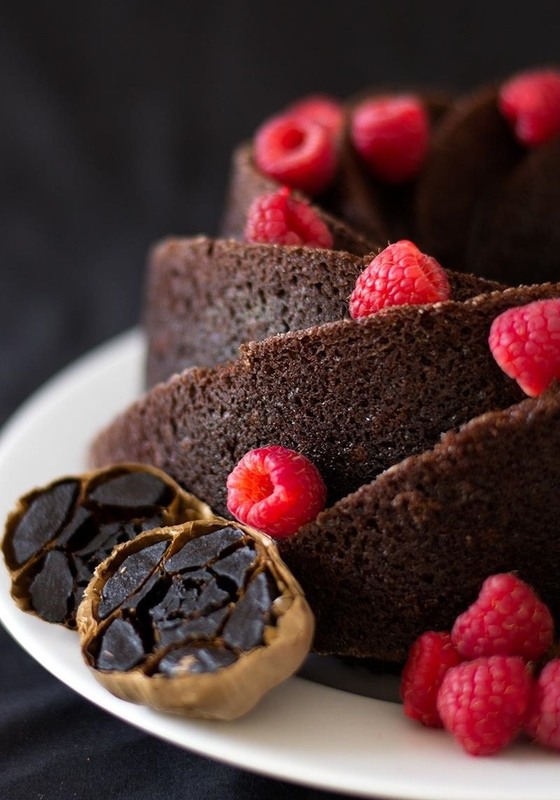 Some people use it in dessert, like this black garlic chocolate cake with raspberry sauce. Garlic scapes and ramps often get confused for one another, but they are two distinct varieties of greens. 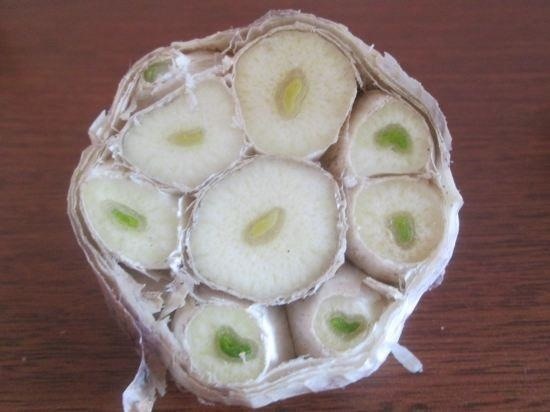 As mentioned above, the scape is the flowering stalk that grows in the middle of hardneck garlic bulbs. It twists and loops and often has a tear-drop shaped white bulb near its end. 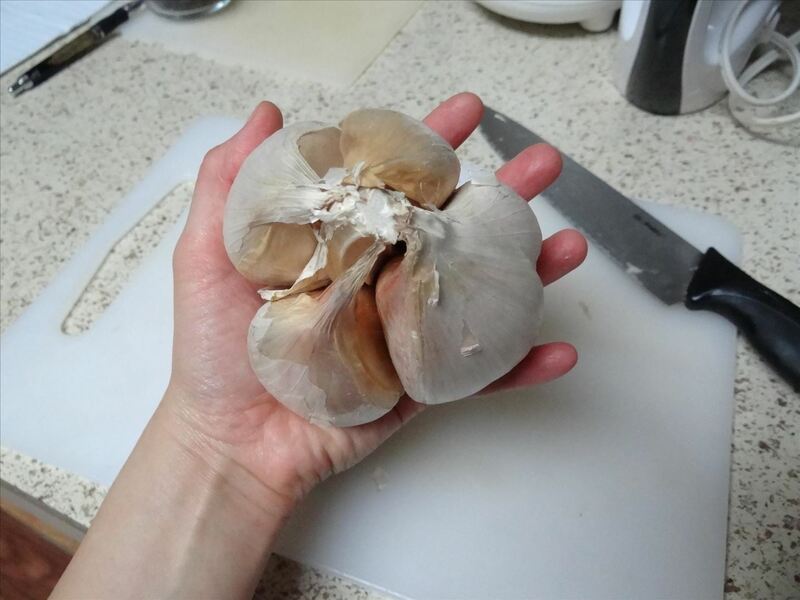 It's usually removed so that the plant won't produce more seeds and will instead grow a bigger garlic bulb. 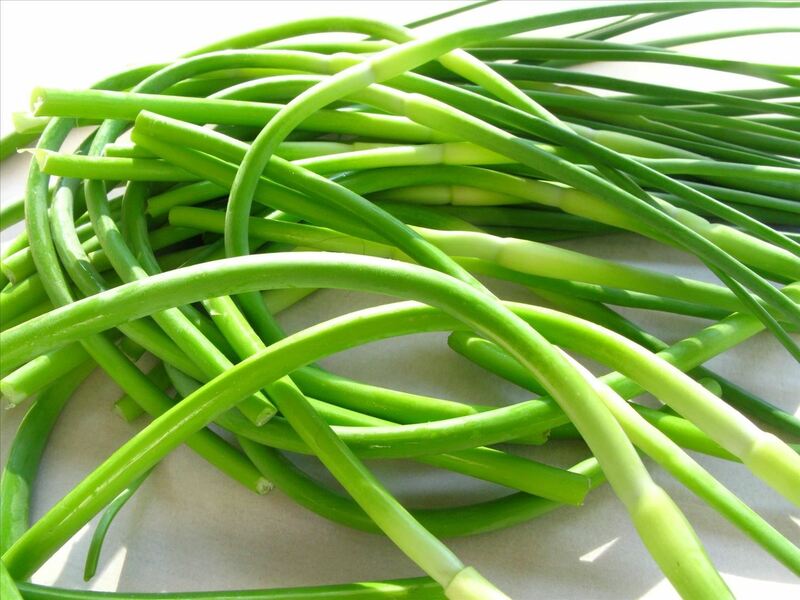 Scapes are magically delicious, especially when sautéed in butter, oil, and seasoned with a little fleur de sel. The flavor is fresh, green, and vegetal and suffused with the taste of young, fresh garlic. The texture is tender yet crisp. They're great as a side dish, steamed until tender and served in salads, or used as an accompaniment for pasta. I wouldn't use them to flavor anything, like a vinaigrette, since their flavor is so delicate. 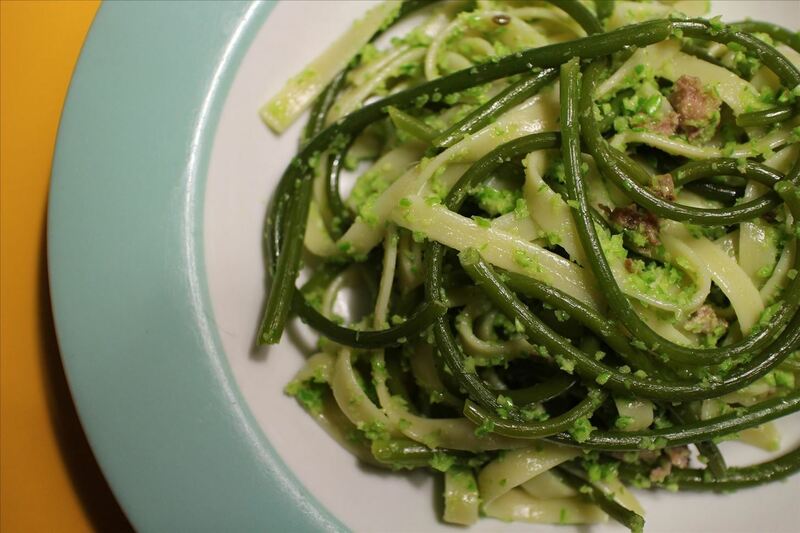 Scapes are in season during the spring and sometimes the early summer. Alas, I haven't found many places on the West Coast that sell them, since hardneck garlics thrive in colder climates, and when I do, the scapes are tougher and more fibrous. If you're a garlic lover and lucky enough to live in an area that grows scapes, buy every single bag you can when you come across them. Ramps (Allium tricoccum) tend to have a couple of wide, spade-shaped leaves and grow from 4 to 12 inches long with tender, pale-green stems. Their flavor is like a cross between young garlic and spring onions: pungent yet sweet. They're closely related to wild garlics (Allium vineale), which is considered by many to be a weed. 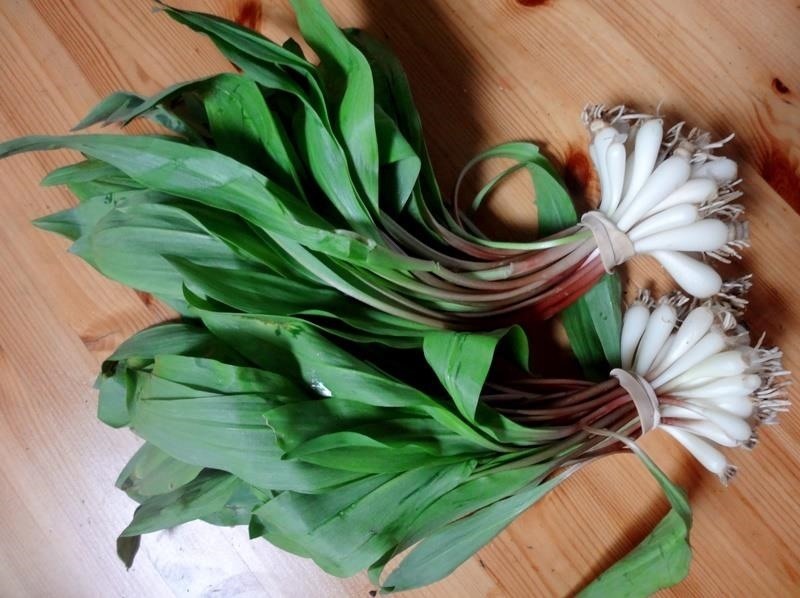 Ramps, however, have been known to provoke frenzies when they appear at farmer's markets. Early spring is their best season. Like scapes, they work in just about anything, whether they're lightly sautéed and served alongside a main dish or used to create an extravagantly tasty pasta. Guess what? Those giant bulbs that look like garlic on steroids are actually part of the leek family. Elephant garlic (also called Buffalo garlic) is actually Allium ampeloprasum, not sativum. It's milder than most garlics, but has an onion-y edge to its taste. 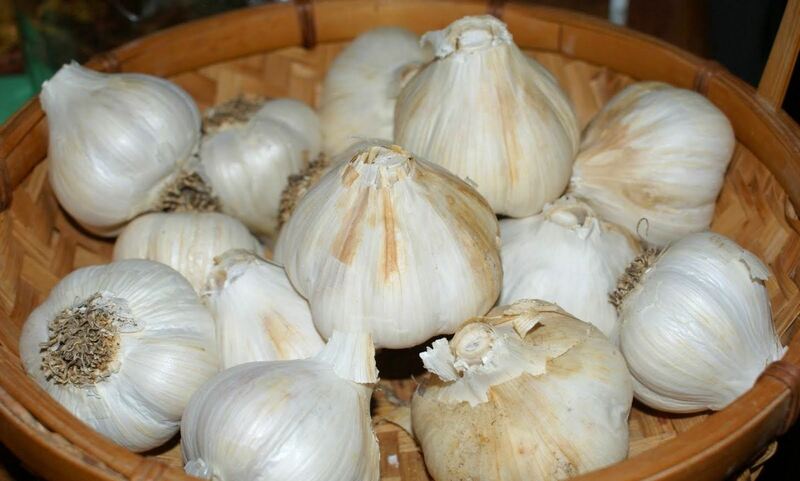 Elephant garlic is often interchangeable with softneck garlics in terms of taste and works as well as softnecks in sauces, vinaigrettes, and stir-fries. It's also great when roasted, especially if you have a lot of people coming over, since it's so ginormous. I like this variety of garlic because its giant cloves make it easy to peel. Also, when I'm feeling lazy and don't want to prep onions and garlic, I tend to default to elephant garlic. If you really want to experience different types of garlics and all their varieties, your best bet is to get to your local farmer's market and do some sniffing around (literally). Once you experience a few different types of garlic, you'll just want more. Now that you know the differences between all of the garlic types out there, you should know how to peel garlic cloves more easily using the microwave, and even how to "peel" entire bulbs of garlic at once. And then move on to our cheat sheet for onions to see the differences between shallots, scallions, and other types of Allium cepa. 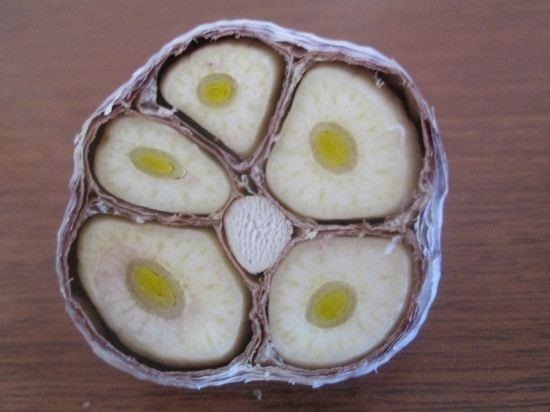 This is a wonderful article on garlic. Although the author fails to mention the wonderful opportunities that garlic festivals bring. The different strains at a good festival can give you what you are looking for until the next festival comes around. I encourage anyone interested in a festival like this to visit Saugerties, NY for their annual festival. Thank you so kindly for sharing this cheat sheet about garlic. Now I know I have Hard-neck Garlic. I will have better way of trying to grow them. Thank you.